A new paper on fieldwork in rural Belize serves as a case study for how an established anthropology fieldwork model can be used to both develop site-specific cultural and historical exhibits and train a new generation of public history scholars. The paper also highlights the importance of diversity to research teams when engaging in research — especially community-based scholarship. “Public history, as a field, focuses on both sharing information about history and working with the public to place history in context – and understand how people already relate to their cultural and regional history,” says Alicia McGill, an assistant professor of history at NC State and author of the paper. 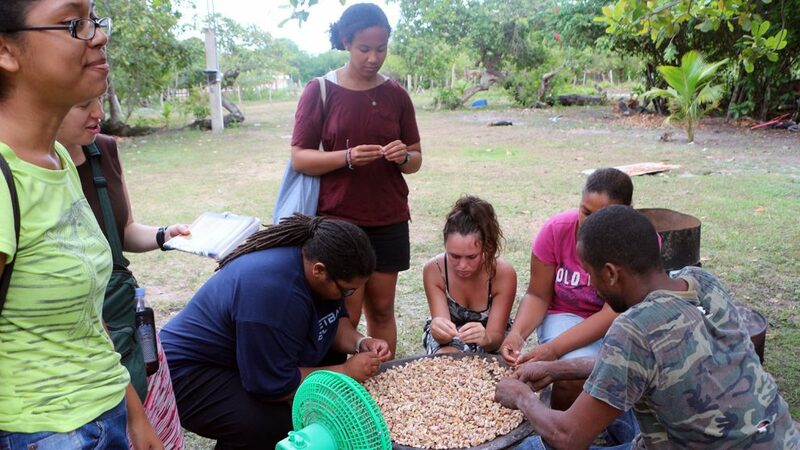 To that end, McGill led a team of public history graduate students from NC State and undergraduates from the University of New Hampshire (UNH) and Galen University, in Belize, as well as collaborating with archaeological researchers from UNH. The team worked closely with residents of Crooked Tree and Biscayne to ensure that the exhibits and related materials addressed not only the Mayan civilization, but the importance of Kriol culture to the region. “We learned several things over the course of the project that I think are broadly applicable to other public history efforts,” McGill says. First, that the methodology of anthropological fieldwork can easily be adapted to the field of public history, particularly in regard to community engagement. “It works so well because you are engaging in cultural immersion, which offers unique insights into the subject matter,” McGill says. Second, identifying local and regional partners is critical to success. “We worked with national, regional and local partners, who provided us with resources, access and cultural and political insights that we may otherwise have missed,” McGill says. Lastly, the project also drove home the importance of having an ethnically diverse research team. “For example, we found that local residents of African descent raised different topics when talking with African American members of our research team than when talking with other members of the research team,” McGill says. “It gave us more insight and different perspectives on the subjects we were studying and the nature of our community engagements. “And while I think all of these observations hold true for public history fieldwork in the U.S., they may be particularly valuable for public historians interested in international work,” McGill says. The paper, “Examining the Pedagogy of Community-Based Heritage Work through an International Public History Field Experience,” is published in the journal The Public Historian. The research was done with support from NC State, UNH, the Belize Institute for Social & Cultural Research and the Belize Audubon Society.